Can a quiet running high-performance PSU with 1,100w output and 80Plus gold certification actually beat the rest? The Nexus RX-1.1K Gold is aimed squarely at gamers and those with a number of power-hungry components. Its meaty 1,100w output can deliver power to a range of system components that include, of course, the most thirsty top-end PCI Express graphics cards. In specific tests, the Nexus RX-1.1K Gold achieved 100 per cent of the manufacturer's claimed performance based on real-world scenarios involving the most commonly used 12 volt rail. In terms of total efficiency, the Nexus RX-1.1K Gold gave an average performance in its class, falling slightly behind other higher-ranged power supplies like the Antec TruePower Quattro 1200 and the Thermaltake Toughpower 1,500W. However, it gained significant ground in terms of standby efficiency since it was one of the best performers in its class. 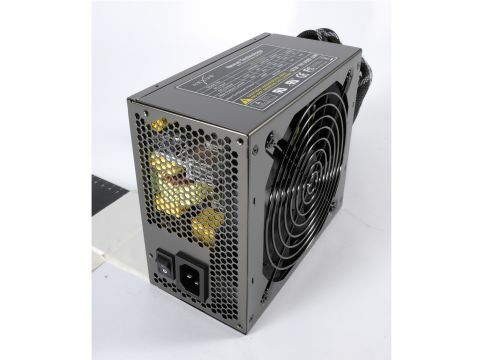 Despite the high power rating, the large 135mm fan helped the unit produce less decibel noise compared to similar power supplies in its class, though it was no match for the Thermaltake 1,500W PSU. That large fan also did a good job venting heat, helping to keep the PC cooler on the inside; however the output cables were quite hot to the touch at high load intervals. We noted a fair amount of jitter with the Nexus RX-1.1K at a 75 per cent voltage load, but this was still not as dramatic as the SilverStone Strider Plus. Nexus has attempted to inject a little personality the cables use a snakeskin-effect patterned mesh and the unit itself has a classy titanium coloured finish that's smooth to the touch, though the rear exhaust uses a standard honeycomb grate. In general, the built quality of the Nexus RX-1.1K Gold leaves us without any complaints. As with many of these high-end units, the chassis is larger than average with dimensions of 165x85x150mm. The Nexus RX-1.1K Gold is fairly light considering its extra length and with the amount of power on offer, weighing in at 2.239kg. The manufacturers' stated AC power input is 115/240V 15A/7.5A 47/63Hz. The Nexus RX-1.1K Gold comes with a substantial 30 output connectors; 1x ATX 20/24-pin connector, 1x ATX 8-pin connector, 1x ATX 4/8-pin connector, 6x PCI Express 6/8-Pin connectors, 9x SATA Connectors,10x 4-pin peripheral (MOLEX) connectors and 2x floppy connector . Despite its excellent standby efficient the unit is a disappointment in terms of its overall performance, it simply can't stand up to the other PSUs in its class and really needs to improve its total power efficiency.